Welcome to 50thingsbook.com. This site is created by Alice Keeler and Libbi Miller to provide a look at Google Classroom. Scroll down to review each section of Google Classroom. We have outlined the elements you will find for each part of the Google Classroom platform. Start with the Google Classroom website: classroom.google.com. Locate the plus icon in the upper right-hand corner after signing up. Teachers can join a class as a student or create a class. The class tiles page allows the teacher or student to easily switch from one Google Classroom class to another. Join or create a new class. Click on class title to enter class. Link to class folder in Google Drive. More options: Rename class or Archive. The Stream is the main page of each Google Classroom class. All assignments and announcements are displayed there. Add a post: Announcement, Assignment, or Question. Show deleted items from the Stream. Add a post to the Stream. List of students uncompleted upcoming assignments. Class comments. Add a comment. Open button to view full assignment directions and submit work. The Students tab lists the students in the course. Actions: Email selected student(s).Remove selected student(s). Mute selected student(s) from posting to the class Stream. Allow or disallow students to comment or post to the Stream. Obtain class code or reset class code. The About tab lists information about the class. Class teachers are listed on About tab. Link to class Google Drive folder. View class assignments in a calendar view in Google Classroom. View a Google Classroom calendar that includes the class assignments that have a due date listed. Google Classroom allows teachers to easily assign work or create announcements. Plus button in the bottom-right creates a post to the Stream. Announcement style post. Attachments are view only. Announcements do not push to the calendar. Create a question style assignment. Reuse a post from the current class, another class, or an archived class. Attach resources as view only for students. Attach work for students where every student receives a copy. Attach any resource from computer. Attach any resource in Google Drive. Link to or search for YouTube videos. 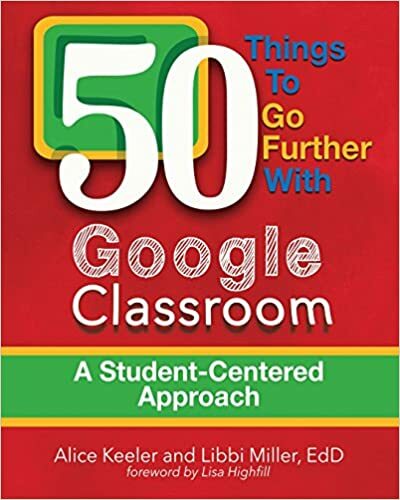 Post to multiple Google Classroom classes. Assign post to the Stream. Add a topic to the assignment. When attaching documents to an assignment there are 3 options for the document settings. By default documents are a view only resource. Collaboration option: Choosing “Students can edit file” allows all students to edit the same document. ‘Photocopy’ option: Choosing “Make a copy for each student” duplicates the attached template and places a copy for each student in the “My work” section of the assignment page. Assign a post to the Stream. Posts immediately. Schedule a post. Set the date and time for the post to appear in the Stream. Save draft of the post. Continue editing or allow a co-teacher to edit the post before assigning to the Stream. On a post in the Stream, there is a more options (3 dots) icon in the upper right. Move a post to the top of the Stream. Copy link to the assignment. When students click on an assignment title in the Stream or click on the OPEN button, they view the assignment page. Student work copied by teacher. Student clicks on document title to edit. Assignment status: Not Done, Submitted, Late, Late Submitted. Add files to assignment: From Google Drive, Link to a website, File from computer. Create Google Docs and attach to the assignment. Students can create and attach Google Docs, Slides, Sheets or Drawings directly in Google Classroom. Student adds a comment that is visible to classmates in the Stream. Private comments between student and teacher are listed at the bottom. Student can add new private comments. Students turn in work or mark as done if there are not any attachments. When students submit work, ownership of the document is transferred to the teacher. Google Classroom organizes and works with Google Drive. Google Classroom creates a Classroom folder in each teacher and students Google Drive. Within the Classroom folder in Google Drive is a folder for each class. In the teachers class folder is a folder for each assignment that students have submitted work to. Student work submitted to a specific assignment. Click on assignment title to link to the assignment grading page. Number of students who submitted. Click to filter. Number of students not submitted. Click to filter. Number of students assignment returned to. Click to filter. Sort students: Status, Last name, First name. Select all students who have submitted. Select all students who have not submitted. Filter tiles: All, Returned, Done, Not Done. Link to assignment folder in Google Drive. Student assignment tiles. Click on attachment to launch. Student assignment tile with no attachment. Return student work. Returns editing rights. Clear filter to view all student work. Export student roster, grades, comments. Can be used to import to external gradebook. Open and review student work. View submission history: Done, Returned, Resubmitted, Late. Click the 3 lines in the upper-left corner of Google Classroom to view the menu. Classroom calendar. All class assignments displayed on one calendar. List of assignments assigned for all classes. Class where the user has teacher role. List of work for students of classes. Class where the user has student role. Settings: Change profile picture, set email notifications. Choosing “Work” under the menu provides a list of assignments. By default work from all classes is displayed. The work list for classes you teach only displays assignments you’ve assigned. The work list for classes you are enrolled in only displays assignments that have been assigned to you. Work listed is sorted by due date. Click on assignment title to open that assignment. Click on number done/not done to view students who have submitted. More options dots allows to mark the assignment as reviewed, removing it from the “To review” list. Late work is shown first. Assignments are listed by due date. Click on assignment title to open the assignment. From the class tiles page, click on the options icon to archive the class. Reuse assignments from archived classes. In the bottom left-hand corner is an icon to send feedback to the Google Classroom team. They read every piece of feedback and your opinion matters. What do you love about Google Classroom? Please be sure to tell them! Have an idea? Submit one idea at a time. The ideas are tagged and you will receive a notification if your idea is added to Google Classroom.